Match ends, Atlético de Madrid 1, Levante 0. 90+4' Second Half ends, Atlético de Madrid 1, Levante 0. 90+4' José Campaña (Levante) is shown the yellow card. 90+3' Antoine Griezmann (Atlético de Madrid) wins a free kick on the left wing. 90+3' Foul by Erick Cabaco (Levante). 90+2' Offside, Atlético de Madrid. Thomas Partey tries a through ball, but Nikola Kalinic is caught offside. 90+1' Attempt blocked. Jason (Levante) right footed shot from outside the box is blocked. Assisted by Erick Cabaco. 90+1' Attempt saved. Antoine Griezmann (Atlético de Madrid) left footed shot from the right side of the box is saved in the centre of the goal. 88' Foul by Rodrigo (Atlético de Madrid). 88' Rubén Rochina (Levante) wins a free kick on the right wing. 88' Attempt blocked. Rubén Rochina (Levante) right footed shot from outside the box is blocked. 87' Thomas Lemar (Atlético de Madrid) wins a free kick on the left wing. 87' Foul by Jason (Levante). 86' Koke (Atlético de Madrid) wins a free kick on the left wing. 86' Corner, Atlético de Madrid. Conceded by Erick Cabaco. 85' Erick Cabaco (Levante) is shown the yellow card for a bad foul. 84' Nikola Kalinic (Atlético de Madrid) wins a free kick in the attacking half. 83' Foul by Juanfran (Atlético de Madrid). 83' Rubén Rochina (Levante) wins a free kick in the defensive half. 82' Attempt blocked. Thomas Lemar (Atlético de Madrid) left footed shot from outside the box is blocked. Assisted by Antoine Griezmann. 81' Attempt blocked. Enis Bardhi (Levante) left footed shot from the centre of the box is blocked. 80' Attempt missed. Thomas Partey (Atlético de Madrid) right footed shot from the centre of the box is close, but misses to the right. Assisted by Koke. 76' Substitution, Atlético de Madrid. Nikola Kalinic replaces Vitolo. 74' Foul by Rodrigo (Atlético de Madrid). 74' Rubén Rochina (Levante) wins a free kick on the right wing. 72' Substitution, Atlético de Madrid. Thomas Lemar replaces Ángel Correa. 70' Attempt missed. Enis Bardhi (Levante) left footed shot from the centre of the box is too high following a fast break. 70' Attempt saved. José Luis Morales (Levante) right footed shot from the left side of the box is saved in the centre of the goal. Assisted by Borja Mayoral. 68' Vitolo (Atlético de Madrid) wins a free kick in the defensive half. 68' Foul by Rubén Rochina (Levante). 68' Substitution, Levante. Rubén Rochina replaces Nikola Vukcevic. 68' Substitution, Levante. Borja Mayoral replaces Roger Martí. 67' Attempt missed. Vitolo (Atlético de Madrid) right footed shot from outside the box is close, but misses to the left. Assisted by Ángel Correa. 65' Vitolo (Atlético de Madrid) wins a free kick on the left wing. 65' Foul by Erick Cabaco (Levante). 63' Corner, Levante. Conceded by Diego Godín. 62' Attempt missed. Thomas Partey (Atlético de Madrid) right footed shot from outside the box is high and wide to the right. Assisted by Antoine Griezmann. 62' Attempt missed. Ángel Correa (Atlético de Madrid) right footed shot from the left side of the box misses to the right. Assisted by Thomas Partey following a corner. 61' Corner, Atlético de Madrid. Conceded by Nikola Vukcevic. 57' Goal! Atlético de Madrid 1, Levante 0. Antoine Griezmann (Atlético de Madrid) converts the penalty with a left footed shot to the top right corner. 55' Penalty conceded by Nikola Vukcevic (Levante) with a hand ball in the penalty area. 55' Vitolo (Atlético de Madrid) wins a free kick in the defensive half. 54' Foul by Rodrigo (Atlético de Madrid). 54' Roger Martí (Levante) wins a free kick on the right wing. 53' Foul by Juanfran (Atlético de Madrid). 53' Jason (Levante) wins a free kick in the defensive half. 52' Attempt missed. Thomas Partey (Atlético de Madrid) header from the centre of the box misses to the left. Assisted by Juanfran with a cross. 50' Attempt saved. Koke (Atlético de Madrid) right footed shot from the right side of the box is saved in the bottom right corner. Assisted by Ángel Correa. 49' Attempt missed. Koke (Atlético de Madrid) right footed shot from the centre of the box is close, but misses to the left. Assisted by Vitolo. 49' Juanfran (Atlético de Madrid) wins a free kick in the attacking half. 49' Foul by Nikola Vukcevic (Levante). 47' Foul by Juanfran (Atlético de Madrid). 47' Jason (Levante) wins a free kick on the right wing. Second Half begins Atlético de Madrid 0, Levante 0. 45' Substitution, Levante. Coke replaces Chema Rodríguez because of an injury. 45+4' First Half ends, Atlético de Madrid 0, Levante 0. 45+3' Santiago Arias (Atlético de Madrid) wins a free kick on the right wing. 45+3' Foul by Roger Martí (Levante). 45+1' Corner, Atlético de Madrid. Conceded by Rober Pier. 45+1' Attempt blocked. Vitolo (Atlético de Madrid) right footed shot from the right side of the box is blocked. Assisted by Ángel Correa with a through ball. 45' Attempt blocked. Antoine Griezmann (Atlético de Madrid) left footed shot from the right side of the box is blocked. 42' Delay in match Chema Rodríguez (Levante) because of an injury. 42' Jason (Levante) is shown the yellow card for a bad foul. 42' Juanfran (Atlético de Madrid) wins a free kick on the left wing. 42' Foul by Jason (Levante). 40' Attempt missed. Antoine Griezmann (Atlético de Madrid) left footed shot from outside the box is high and wide to the left. Assisted by Koke. 37' Vitolo (Atlético de Madrid) wins a free kick in the defensive half. 37' Foul by Enis Bardhi (Levante). 35' Corner, Atlético de Madrid. Conceded by Oier Olazábal. 34' Attempt saved. Antoine Griezmann (Atlético de Madrid) left footed shot from the right side of the six yard box is saved in the bottom right corner. 34' Attempt missed. Santiago Arias (Atlético de Madrid) right footed shot from outside the box misses to the left. Assisted by Rodrigo. 31' Attempt saved. Thomas Partey (Atlético de Madrid) left footed shot from outside the box is saved in the centre of the goal. Assisted by Antoine Griezmann. 27' Vitolo (Atlético de Madrid) wins a free kick in the defensive half. 27' Foul by Erick Cabaco (Levante). 27' José Giménez (Atlético de Madrid) wins a free kick in the defensive half. 27' Foul by Roger Martí (Levante). 26' Offside, Atlético de Madrid. Antoine Griezmann tries a through ball, but Ángel Correa is caught offside. 25' Attempt saved. Roger Martí (Levante) right footed shot from outside the box is saved in the bottom left corner. Assisted by José Campaña. 23' Offside, Atlético de Madrid. Thomas Partey tries a through ball, but Santiago Arias is caught offside. 22' Vitolo (Atlético de Madrid) wins a free kick in the defensive half. 22' Foul by Nikola Vukcevic (Levante). 21' Corner, Levante. Conceded by Santiago Arias. 21' Attempt blocked. José Luis Morales (Levante) right footed shot from the left side of the box is blocked. 19' Delay in match Nikola Vukcevic (Levante) because of an injury. 18' Foul by Diego Godín (Atlético de Madrid). 18' José Luis Morales (Levante) wins a free kick on the right wing. 18' Attempt missed. Ángel Correa (Atlético de Madrid) right footed shot from outside the box misses to the left. Assisted by Vitolo. 15' Rodrigo (Atlético de Madrid) wins a free kick in the defensive half. 15' Foul by Enis Bardhi (Levante). 13' Enis Bardhi (Levante) wins a free kick in the defensive half. 12' VAR: Goal. Referee decision on field cancelled. 11' Delay in match (Atlético de Madrid). Video Review. 10' Foul by Rodrigo (Atlético de Madrid). 10' Enis Bardhi (Levante) wins a free kick on the right wing. 10' Juanfran (Atlético de Madrid) wins a free kick in the defensive half. 10' Foul by Enis Bardhi (Levante). 9' Substitution, Atlético de Madrid. José Giménez replaces Stefan Savic because of an injury. 7' Delay in match Stefan Savic (Atlético de Madrid) because of an injury. 5' Attempt missed. Antoine Griezmann (Atlético de Madrid) left footed shot from very close range is close, but misses to the right. Assisted by Ángel Correa. 2' Attempt blocked. Stefan Savic (Atlético de Madrid) header from the centre of the box is blocked. Assisted by Ángel Correa with a cross. 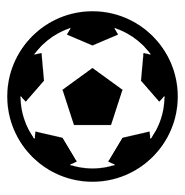 1' Corner, Atlético de Madrid. Conceded by Nikola Vukcevic.